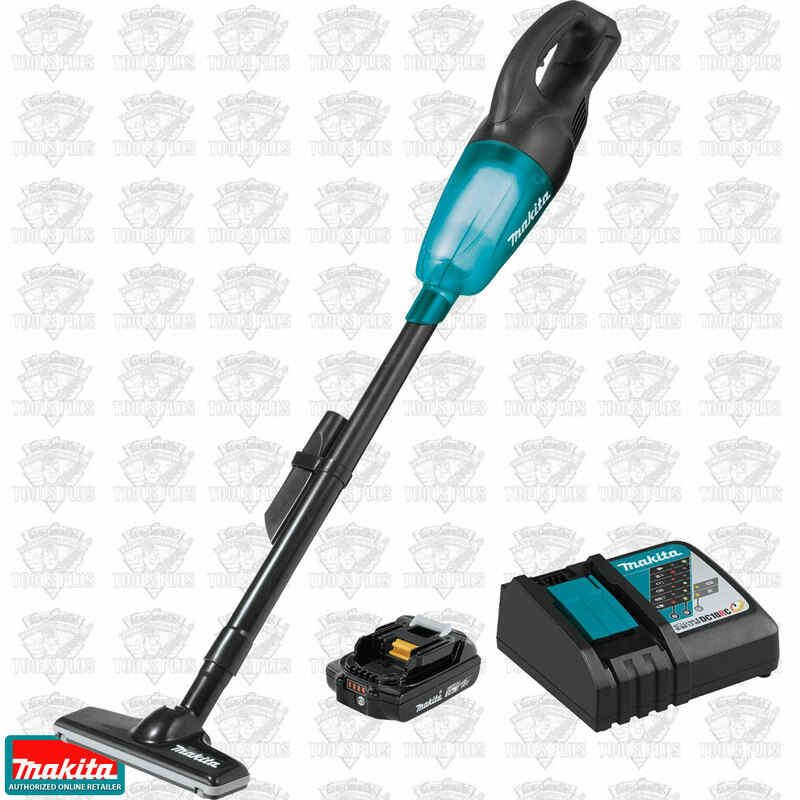 The Makita 18V Compact Lithium-Ion Cordless Vacuum Kit, model XLC02R1B, is a compact and powerful cordless vacuum with strong suction for fast and efficient cleaning. At only 18-3/4" in length this compact vacuum can be used as a "hand-vac", or with the floor nozzle extension for floors, carpets, and hard-to-reach spaces. The XLC02R1B is a kit and includes the fast-charging 18V Compact Lithium-Ion battery and efficient Rapid Optimum Charger. The Makita 18V Compact Lithium-Ion battery charges faster and works longer than standard 18V compact lithium-ion batteries, giving you and your Makita cordless tools unmatched performance and productivity in a compact size. The Makita 2.0 Ah battery delivers up to 50% more run time per charge than the Makita BL1815 18V Compact battery, with a fast charge time of only 25 minutes for increased efficiency. Makita 18V Lithium-Ion batteries resist self-discharge so they're ready for use even after long periods of storage. The Makita Rapid Optimum Charger (sold separately) is a smart-charging system that communicates with the battery during the charging process to monitor current, voltage and temperature. This advanced charging technology helps optimize battery life and deliver a faster charge. In addition, the Charger has a built-in fan to cool the battery for faster and more efficient charging, even in hot weather conditions. For improved tool performance and extended battery life, Makita created STAR Protection Computer Controls. STAR Protection is communication technology that allows the tool and battery to exchange data in real time and monitor conditions during use to protect against overloading, over-discharging and overheating. 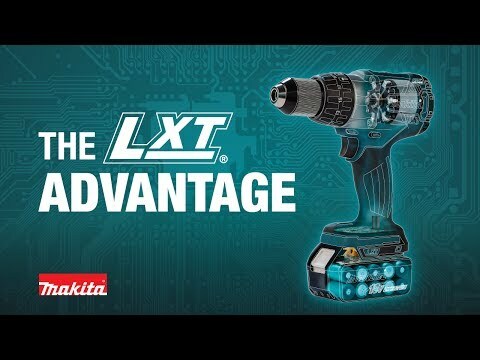 Makita, the innovation leader in cordless tool technology, has the world's largest cordless tool line-up powered by 18V lithium-ion slide-style batteries.